The Toddlers’ group meets in the Church Hall on Tuesday and Thursday mornings from 9.30am – 11.30am. 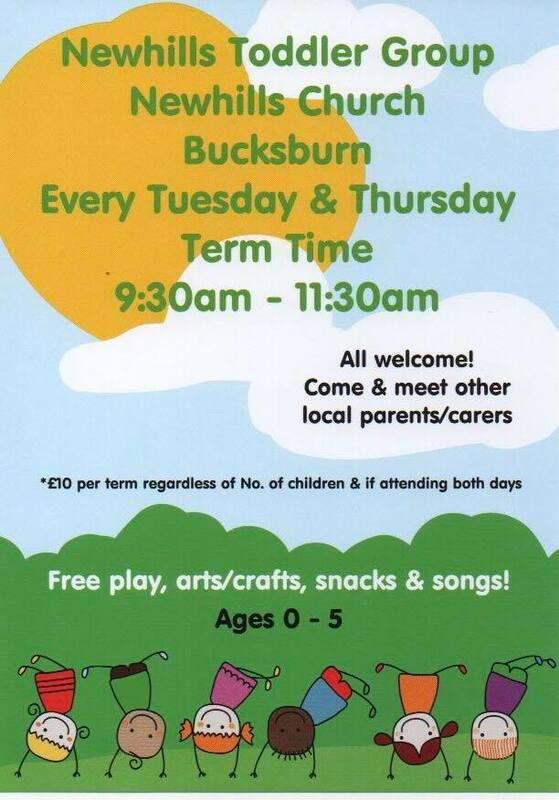 This gives a great opportunity for toddlers and their parents or carers to meet and share a fun time together. There is a good variety of toys and games provided. Snacks are provided by church “Grannies”.